Last Monday, I had to say goodbye to my dog and long-time companion, Romeo, an Australian Shepherd. Although I found out that he had been suffering from a type of inoperable cancer called hemangiosarcoma for a long time, it came as a sudden shock for me--he hardly even let it be known that he was ill until the last few days were upon us. I'm still having a hard time wrapping my mind around the fact that he's gone. Romeo was a very unusual dog. I know a lot of people say that about their dogs, and they're probably right. My dog was very intelligent, like his breed, and for all intents and purposes, he could talk. He couldn't actually speak English, but he could communicate complex things like questions and opinions to me through body language. He used his special skills to teach and to train, and I believed God blessed my life through him. I think it's time to pass on a few lessons my dog taught me, direct from a Greater Master. A few incidents stand out in my memory. Some were "all dog," but quite a few were something more than that. 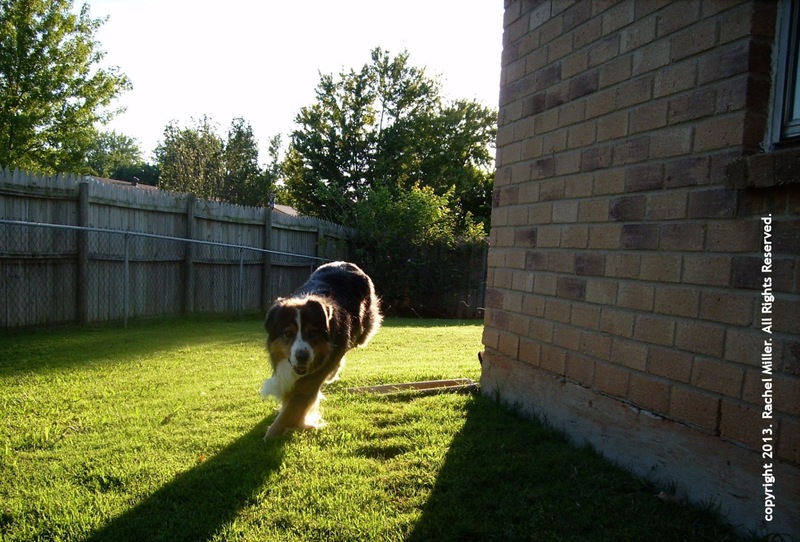 For instance, when he was a new pup, everyone in the house would go outside at the same time to play with him, and frequently, all but one of us would go back inside, absentmindedly locking the door behind us. That last person would have to circle the house, knocking on windows until he or she had drawn enough attention to get the door opened. Romeo would follow that person, observing the whole scene closely. Then, one day, we heard a pounding at a back window, looked around the room, and realized that we were all inside! We rushed to the window to investigate, and there stood Romeo. He had one front paw on the brick windowsill, and he was batting the window with the other one. When he saw that we had all gathered, he tipped his head way back in a "come on out" gesture, and hopped down. We never taught him to do that, but for the rest of his life, when he needed us for something and we weren't outside, this was how he would let us know. This was a good reminder for me of Jesus' words, "Ask and it will be given to you; seek and you will find; knock and the door will be opened to you. For everyone who asks receives; the one who seeks finds; and to the one who knocks, the door will be opened," (Matthew 7: 7-8 NIV). I pray that, just like Romeo, you have a good enough relationship with your Master that you know that all you have to do is knock if you've got a question or a need, whether you're hungry or thirsty, or something alarming is going on in your life, or you're just feeling lonely. I also hope that you won't give up easily (Romeo didn't), or think that just because it's 3 a.m. He won't show up (Romeo didn't believe that, either). The fact is, God cares much more than people ever could, and He wants more than just "ownership" of us--He wants a relationship with us. He wants more than our obedience; He wants our love. I recall going out one morning to feed Romeo and finding him at the door with fresh blood smeared all over his snout. Romeo was in an exceptionally gleeful mood, and he kept bounding toward me and walking a few paces away, which was his signal to follow him. I did, with fear and trembling about what I was about to see, but when I got around the corner of the house, fear turned to shock and anger. He was coming back to me with a big, goofy grin on his face, dragging along a large section of metal rain guttering that had been installed just the night before. He had pulled it off the side of the house during the night and had cut his mouth on it! I was speechless, but the expression on my face must have told him everything he needed to know. I remember the grin melting off of his face, and he dropped the guttering and ran away from me--the only time he ever did, because I never hit him--and he followed me quietly, at a safe distance, as I picked up the guttering and took it to the garage. On the way, I remember looking at him over my shoulder and shouting, "I can't believe you did this!" It was the last time I ever shouted at my dog, too, because from that day on I remembered the look of pure, limpid-eyed shame on his face as he crept closer and licked my free hand. Who could stay angry after an apology like that? I believe that animals are sinless creatures, and that they don't really know the difference between right and wrong. However, I feel Romeo modeled the kind of repentance that God wants from people. Romeo didn't know that he was doing something wrong, so he didn't try to hide from me like Adam and Eve hid from God in the garden. Similarly in contrast with humans, when he found out that I was displeased, he took full credit for his actions, stopped them immediately, and asked for my forgiveness and renewed friendship. If only humans could learn to do the same! God is quick to forgive those who repent, and it is written, "a broken and contrite heart you, God, will not despise," (Psalm 51: 17 NIV). I might add, God requires us to treat our fellow man with the same anxiousness to forgive (Mark 11: 25). I have heard of seizure dogs, or dogs that signaled to their masters that a heart attack or earthquake was coming. As far as I know, Romeo lacked those abilities, but we jokingly referred to him as the "bruise sniffing dog." If anyone got injured, he knew about it. He could locate bruises and lick them through layers of blue jeans, t-shirt, or socks, even if they were several days old and happened when he wasn't around. One time, I fell and twisted my ankle badly while playing with him. He acted deeply concerned, ran to my side, and lay down next to me for a few minutes. When the pain had started to subside, he jumped up and started energetically licking my face and swatting at me with his paws until I jumped to my feet. As soon as I was standing, he was ready to play some more. The message was clear enough--life is too short and too wonderful to sit around moping for too long. 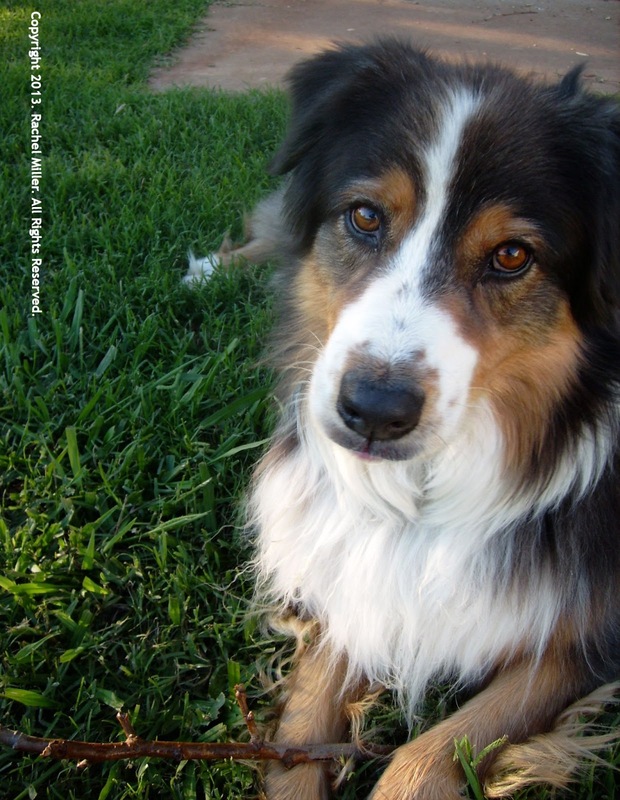 Romeo was a joyful dog who rarely let anything get him down, even cancer. He welcomed sunshine, rain, and snow with equal enthusiasm, and so should we. Every day was created by God to be celebrated with Him (Psalm 96: 10-13). Pain comes and goes, but we should live our lives with the joy of the Lord, that is, a joy which is deeper than just happiness, filling even our grief with hope. Our hope and joy is founded on our knowledge that one day, all the hurt and brokenness and ugliness of this world will be taken away when Jesus comes back to renew it and heal those who know Him. I don't know if Romeo will be there, but I do know his lessons will be. God is taking care of me. Romeo was another symbol of God's goodness. I know that it's going to be alright.